Price: US$4,851 / £3,920 / €4,530 per person sharing, assuming 4-8 people on the tour. 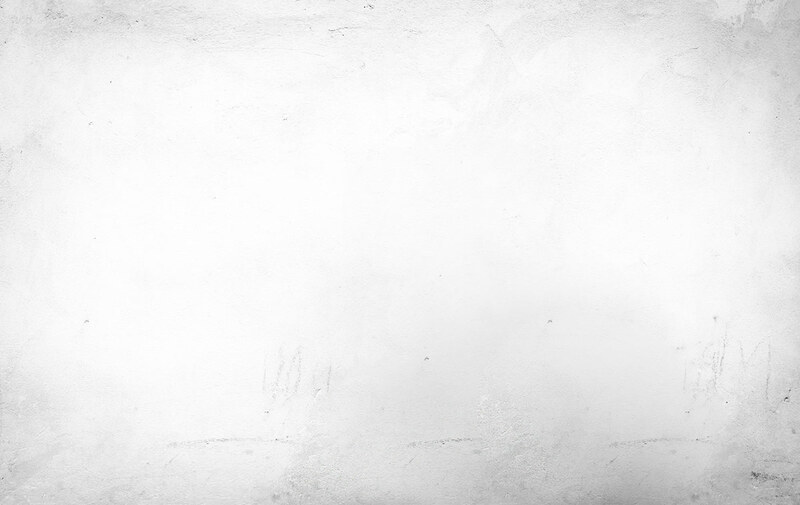 * Please note that currency conversion is calculated in real-time, therefore is subject to slight change. Please refer back to the base price when making final payments. On this tour we have a realistic chance of finding every single eastern wood warbler, plus so many other migrants and residents. 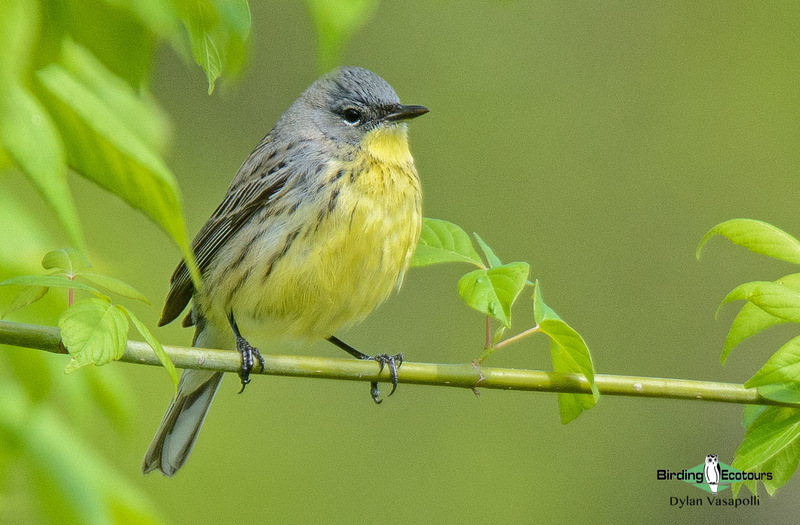 We find most of these within Ohio, but we also make brief forays to Michigan (for Kirtland’s Warbler) and to West Virginia (for Swainson’s Warbler). 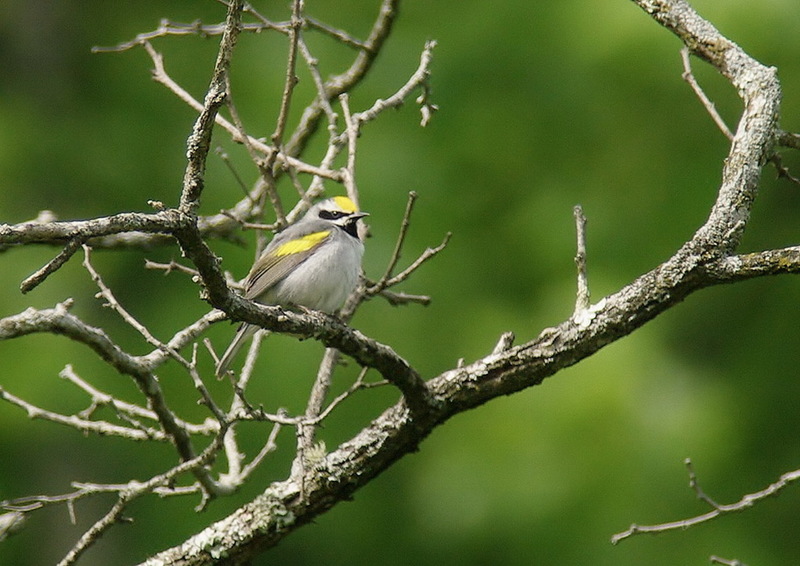 Ohio is a highly underrated birding state full of diverse habitats and migrant traps. 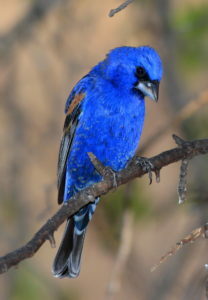 The northern and southern portions of the state are quite diverse, each providing unique birding opportunities and species to enjoy. The southern portion hosts some incredible prairies and vast old-growth forests in the foothills of the Appalachian Mountains. It is also the northernmost extent of several breeding birds who use these amazing habitats to the fullest. 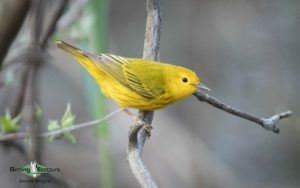 This includes Prairie Warbler, Worm-eating Warbler, Kentucky Warbler, Blue Grosbeak, and Yellow-breasted Chat, just to name a few. Northern Ohio is bordered by the great Lake Erie, creating expansive freshwater marshes. The lake is like a freshwater ocean, creating similar effects as birds migrate along its shores. 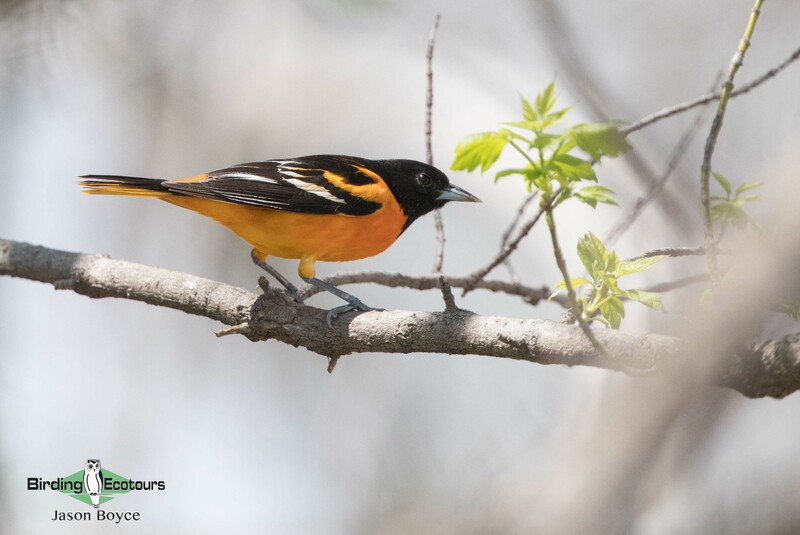 In the spring this can create a jaw-dropping spectacle as Blue Jays and many other species move along the lakefront in groups of 100+.  As birds migrate north and encounter the huge body of water they will put down into the trees along the shore to rest and feed before attempting to cross the unknown. 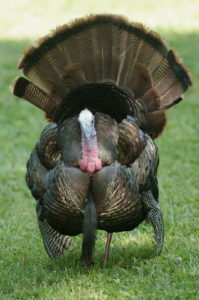 This creates a massive build-up of extremely tired and hungry birds with one mission, to refuel. The sheer number of exhausted warblers, thrushes, vireos, orioles, tanagers, flycatchers, and more present birders with eye-level views within 10-20 feet. This phenomenon in northern Ohio is unlike any other in the United States. The north also has some fantastic shorebird habitat, which supports tremendous numbers of birds on their journey to breeding grounds in Canada. These beautiful birds are normally molting into their dapper breeding plumages, like Stilt Sandpiper, Short-billed Dowitcher, Wilson’s Phalarope, and upwards of 15 others. 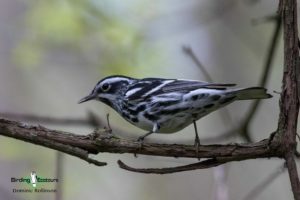 Each spring at least 35 out of the 37 eastern warblers pass through Ohio, but to see the remaining two we will have to dip into a couple of surrounding states. Unlike the smaller foothills in Ohio, West Virginia is home to large mountains and deep gorges of the Appalachians. The 70,000+ acres of the New River Gorge are full of largely undisturbed forests and rhododendron in the highlands. 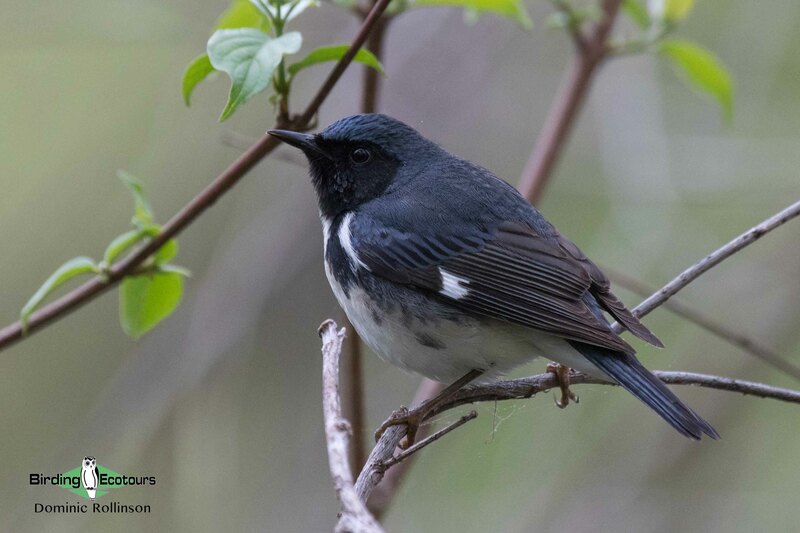 It is here that Swainson’s Warblers prefer to breed and make their homes. These birds do not quite make it into the rolling hills of Ohio. 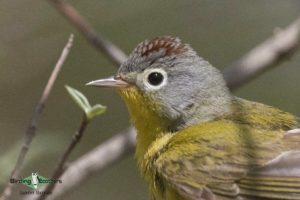 For the other missing warbler we travel north into the beautiful jack-pine forests of Michigan. 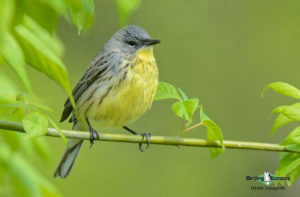 This unique habitat is home to the endangered and highly sought-out Kirtland’s Warbler. 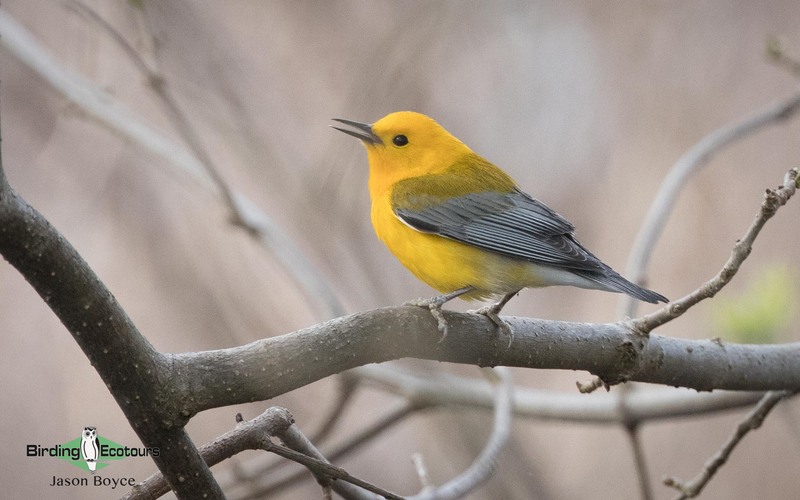 This species might make a single appearance in Ohio per year as they migrate north, but it is a rare sighting and nothing compared with observing multiple birds singing on their very specific breeding grounds. This tour highlights and targets the 37 species of wood warblers in the eastern United States by showcasing the wide array of habitats in Ohio and the true spectacle of spring migration in this fantastic birding state. We will begin in Detroit, Michigan, with a few stops along the Lake Erie shores. From here we will work our way south to provide us with ample opportunities to see the southern breeding specialties, eventually dipping into West Virginia. After that we go back north for a few days of migration at Magee Marsh with a few stops in Chillicothe and Columbus along the way. After some time with the jaw-dropping views the Toledo area provides us we will head north to Grayling, Michigan, for hopefully the 37th and final warbler of the tour. Then it’s back to Detroit to wrap up two full weeks of bird-packed adventure. When it’s all said and done, you should expect to see 180+ species, and we really should be pushing close to 200 eastern US birds! 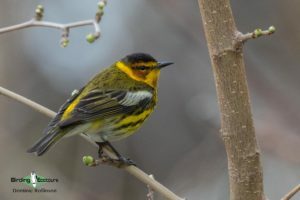 After arrival at Detroit Metropolitan Wayne County Airport (DTW) participants should plan on a quick stop at Pointe Mouillee, where we will hopefully find our first warbler of the trip to get things started! Please arrive at the airport by no later than 4 p.m. to give us enough time for some birding. From there we will get dinner and make the short, 40-minute drive to the first hotel, where a room will be reserved in your name. Located on Lake Erie’s south-western shore just outside of Toledo, Maumee Bay and Magee Marsh are unbelievable migrant traps all spring long. As birds make their tireless flight to breeding grounds in Canada they see the water of Lake Erie and put down in the small patches of trees along the shoreline. Both areas have fantastic boardwalks right through the middle of these woods, providing some easy walking and birding. 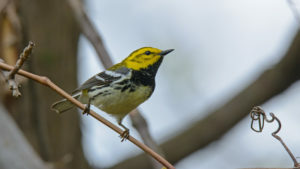 It is here that we will target some of the earlier migrating warblers such as Nashville Warbler, Palm Warbler, Black-throated Green Warbler, Yellow-rumped Warbler (Myrtle subspecies), as well as others that are potentially on the move already. The entrance drive to the Magee boardwalk is through a beautiful and extensive marsh habitat. This should be packed with Yellow Warbler and many large waders. Stopping here for a day should score us many fantastic bird species and allow everyone to get familiar with this national attraction before we visit it again later in the week for the next few waves of migrants. Toward the end of the day we will start making our way to southern Ohio. Dayton has its fair share of hidden-gem, small migrant traps and beautiful, expansive natural areas. Located in southwestern Ohio, this region plays host to the breeding grounds of a few species that rarely make it any further north, such as Blue Grosbeak. We will spend the day targeting these more southern specialties. Our first stop will be the migrant trap of Hills and Dales, a small 60+-acre park sandwiched between houses and a golf course. 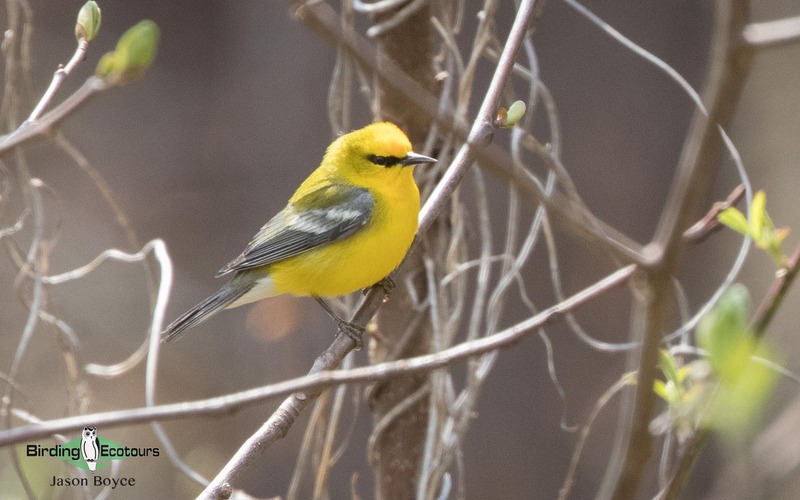 This small forest can be loaded with fresh migrants, singing away in the morning sun, such as the quizzical Blue-headed Vireo and the stunning Baltimore Oriole. From here we will move to Woodman Fen, an even smaller migrant trap of only 37 acres, surrounded by houses, causing all the birds in the area to flock here, with Least Flycatcher calling and Ruby-throated Hummingbird buzzing around. To round out the day we move to the Twin Valley area in southwest Dayton, a large stretch of land that encompasses both Germantown and Twin Creek Metroparks. 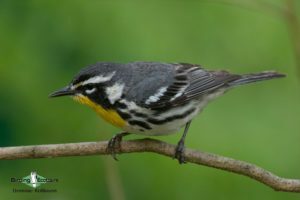 The large ravines of spectacular old-growth forest provide ideal habitat for breeding Kentucky Warbler and Louisiana Waterthrush. These areas also have fantastic pockets of prairies and meadows, which hold the ever-sneaky Henslow’s Sparrow and the buzzy song of Prairie Warblers. We finish by moving into some old pine, cedar, and spruce stands to find Pine Warbler and Eastern Towhee. 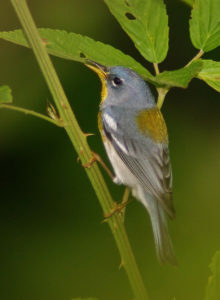 After scoring on several southern warbler specialties we will make the drive to Shawnee State Park Lodge. We will be up and out of the door very early at this 60,000+ acres of old-growth forest. 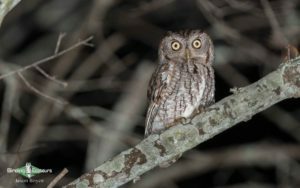 As we navigate our way up the curvy roads before dawn we should see plenty of eye shine of Eastern Whip-poor-will in the road. The morning chorus here can be absolutely deafening with loads of migrating birds echoing through the slopes and ravines. We will start on higher grounds, as migrants typically land at the tops of canyons for a rest. 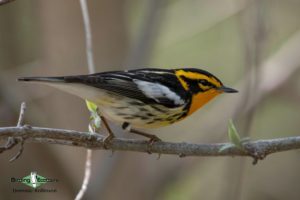 As with most migration it can be hit or miss depending on the winds, but we should be able to score a bright Blackburnian Warbler glowing in the morning sun and see loads of Black-and-white Warblers scooting up trunks. After things slow down on the mountain tops we will move back down into the ravines near creeks and streams. 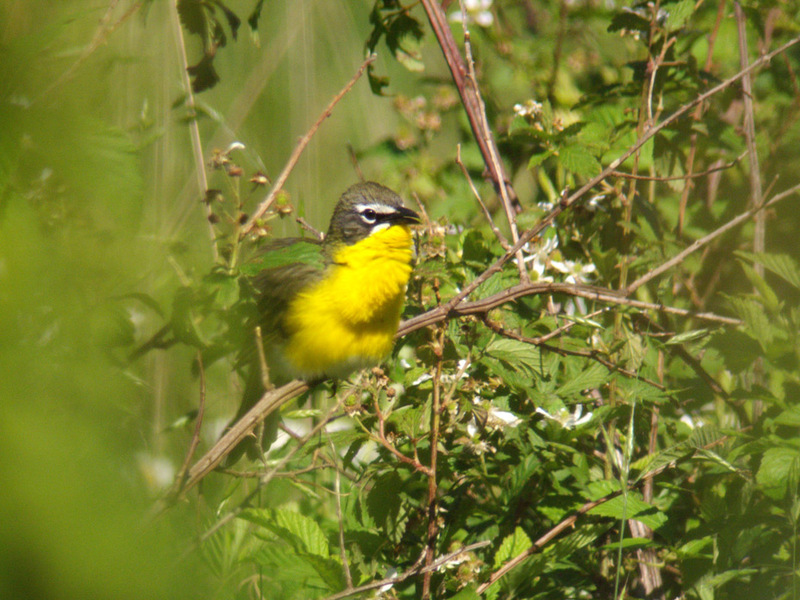 Here we will see loads of Yellow-throated Warblers and Northern Parulas. 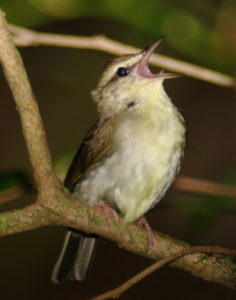 Next we will move into areas with precipitous drops to find a true southern specialty, Worm-eating Warbler. These mid-to-high elevations also provide us with excellent opportunities to see the jaw-dropping blue of Cerulean Warbler up close and personal. This huge forest is filled with the skulking Ovenbird and Hooded Warbler as their songs echo throughout the entire area. 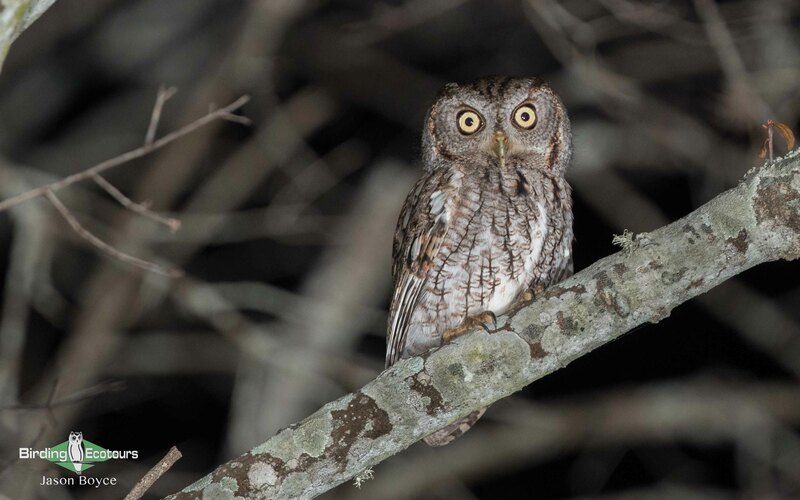 In the evening we will head out to a small creek in Adams County to listen for Barred Owl and Eastern Screech Owl. This is also the only place in the entire state of Ohio where Chuck-will’s-widow breeds. Then we’ll head back to the lodge for a good night’s sleep after an action-packed day. We will spend one more morning up at the top of the mountains, listening to the dawn chorus and searching for new migrants. Anything can show up in these trees, including over 20 different species of warbler, so hopefully we will be able to dig up something new, like Tennessee Warbler or Scarlet Tanager, that we didn’t get the previous day. 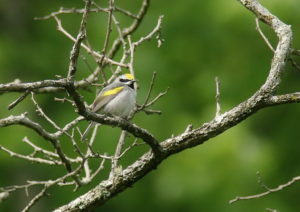 After a nice, relaxing morning of enjoying the new migrants we will make the trek down to West Virginia. We should arrive at the New River Gorge area with plenty of time to explore and hopefully pick up the beautiful evening song of Wood Thrush and the contrasting black-and-orange American Redstart before heading to the hotel for the evening. We will start the day in the rhododendron-filled forests of the New River Gorge valley as we visit several trailheads in the area, scouring and listening for our top target, Swainson’s Warbler, in its preferred habitat. These birds can be very secretive, so we want to give ourselves as many opportunities as possible to get everyone good looks. After a nice morning and afternoon of birding in these dense forest regions we will make our way back to Ohio. 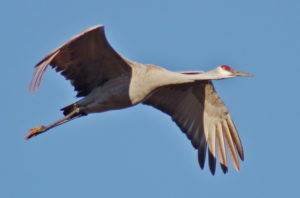 We will spend the evening birding at a nice grassland habitat called Junction Earthworks. Here we hope to see several grassland birds like Grasshopper Sparrow and Savannah Sparrow as well as having the potential for Mississippi Kite, very rare in Ohio. 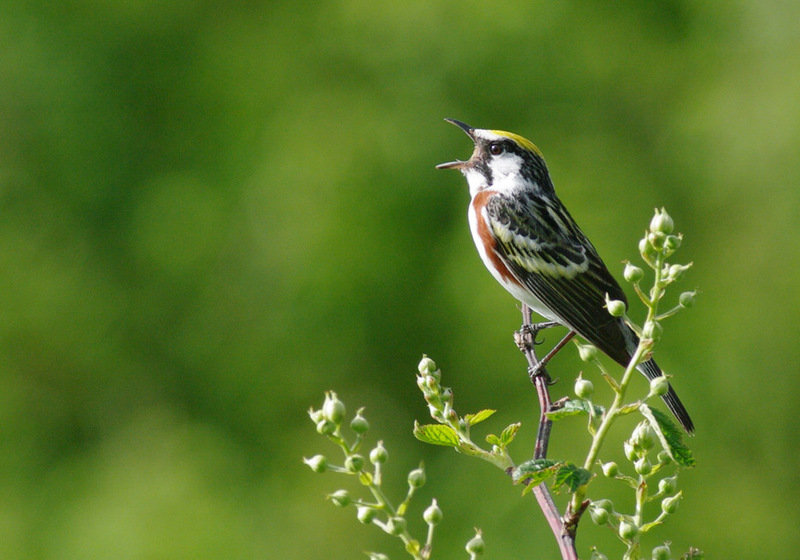 Columbus offers a wide array of high-quality habitats perfect for birds, including wetlands, grasslands, and deep forests. As we spend the day exploring these areas we will also be on the lookout for any reports of warblers and other top targets we may be missing. Golden-winged Warbler will likely be at the top of the list, as well as species like Connecticut Warbler and Mourning Warbler. 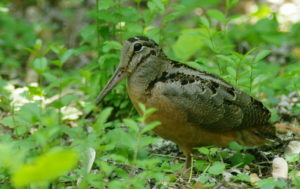 We will let our needs dictate our goals and destinations for this day but expect to spend some time in an expansive wetland looking for Marsh Wren, Sedge Wren, and other secretive marsh species. Columbus also holds a few high-quality marshy areas that hold populations of the brilliant Prothonotary Warbler. After this we will make our way back to Magee Marsh to meet up with thousands of others and witness the true spectacle of spring migration in Ohio. Back to the wonder of Magee Marsh and the countless number of parks along the Lake Erie shoreline. 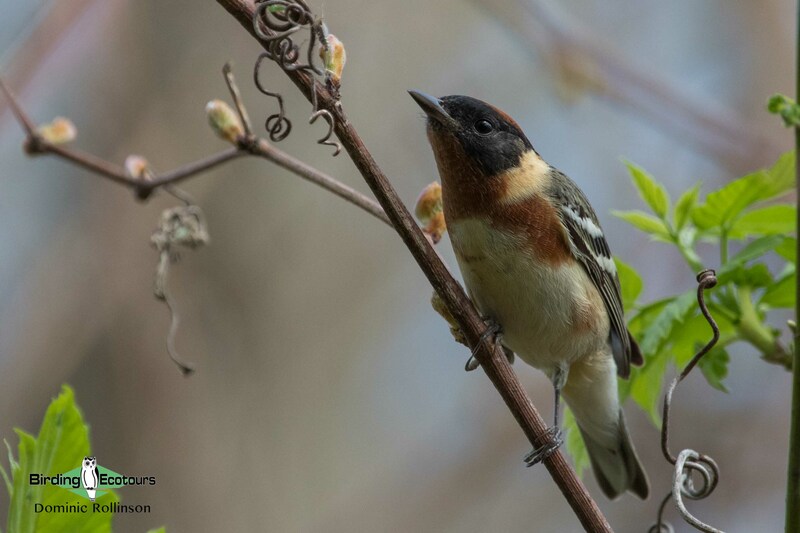 Over the next four days we will experience the true greatness and wonder of spring migration in Ohio. Spending most mornings at the Magee Marsh boardwalk, we will be treated to eye-level looks at a great diversity of warblers and migrants as they drip from the trees like rain droplets. This will also give us a chance to see how drastically things can change from one day to the next with different waves of birds moving through. 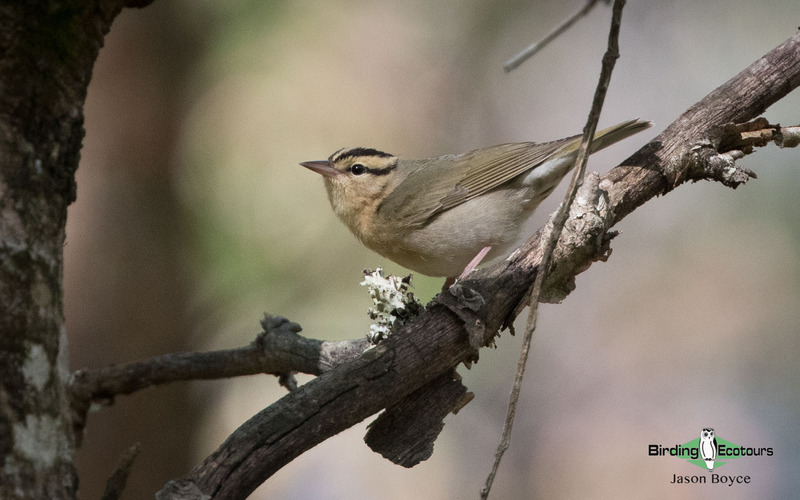 One day may be dominated by Chestnut-sided Warbler and Black-throated Blue Warbler and the next by Bay-breasted Warbler and Cape May Warbler with little to none left of the previous day. Expect to experience things like Magnolia Warbler bouncing in trees right above your head and Northern Waterthrush foraging on the marshy leaf litter under the boardwalk. 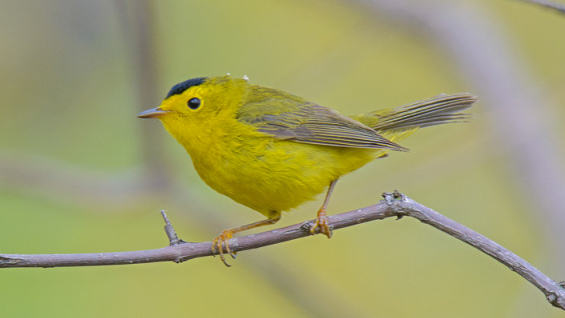 Like in Columbus we will take special interest in targeting any warbler or other migrant we still need for the trip, especially some of the later migrants like Wilson’s Warbler and Canada Warbler. 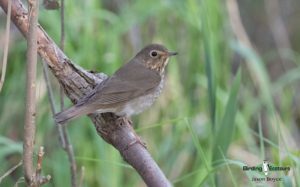 There is great diversity in habitats here for all species of birds from warblers to shorebirds. We will see breeding-plumage Dunlin and American Golden Plover in great numbers at the brand-new and fantastic Howard Marsh. This is a site specially managed with birds in mind, as the water levels are controlled to aid shorebirds in migration. We will also explore some unique areas to the west in Toledo like the pine and oak savanna at Oak Openings. 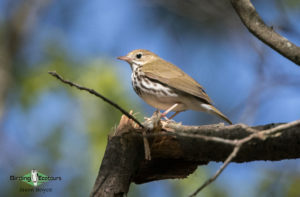 It is here we will find one of Ohio’s breeding populations of the colorful Lark Sparrow as well as plenty of singing Blue-winged Warblers and some noisy Red-headed Woodpeckers foraging in a stand of dead trees. At the end of day 11 we will start our journey north to Michigan for the final and most desired warbler. Kirtland’s Warbler should be our final warbler target for the tour. 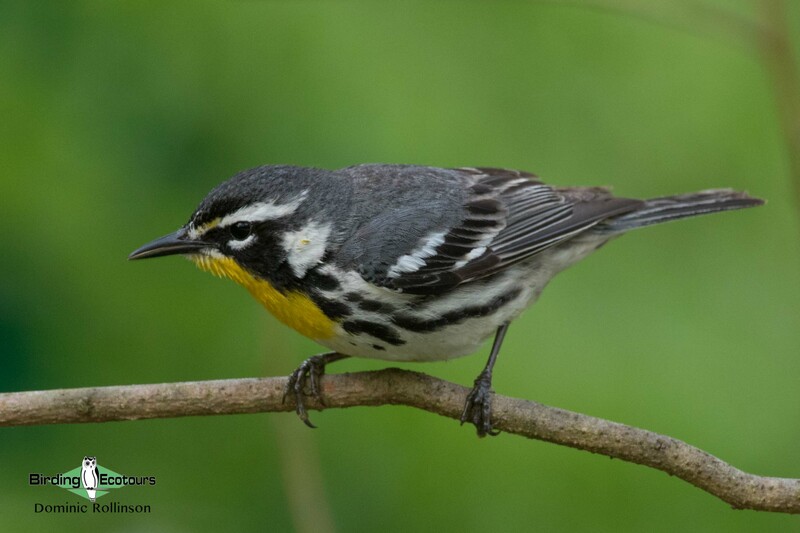 These large warblers are known for their specialized habitat needs of large patches of young, dense Jack Pine forests for successful breeding. Nowhere exists more of this unique habitat type than at Grayling State Forest in Grayling, Michigan. We will spend our time exploring this massive area, finding multiple Kirtland’s Warblers on breeding territory and spending lots of time with these extra-special birds. 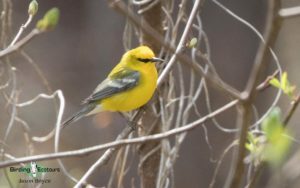 In the morning we will drive back through the Jack Pines to find a few more Kirtland’s Warblers and watch them sing and stake their territory. From there we will head over to the east coast of Michigan along the great Lake Michigan. Here we will hope to see another species on their breeding grounds, Piping Plover. 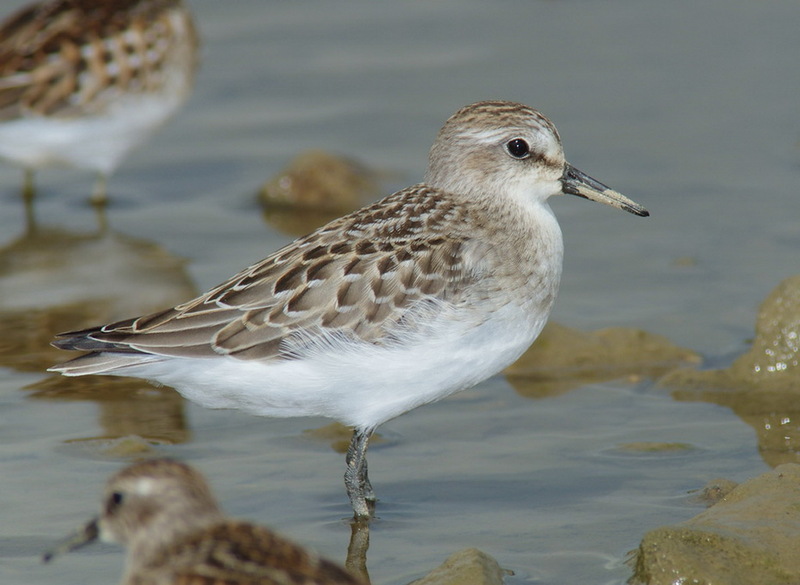 These little shorebirds are typically sporting many leg bands of a large variety of colors for individual identification. As we work our way down the coast we can hopefully see a few birds we may have missed earlier during the tour, anything we can find to buff our trip list up by a few. We may also spend the day chasing any rare warbler reports in the area if we missed them earlier in the trip. During our final day we will spend the morning exploring the first park we visited on the tour, Pointe Mouillee. This is where we would’ve seen our first warbler of the trip, and now we will see our very last eastern warbler of the trip here as well – a very fitting end to the tour before we make our way back to the Detroit airport for departure home. 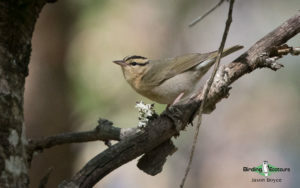 Please note that the itinerary cannot be guaranteed as it is only a rough guide and can be changed (usually slightly) due to factors such as availability of accommodation, updated information on the state of accommodation, roads, or birding sites, the discretion of the guides and other factors. 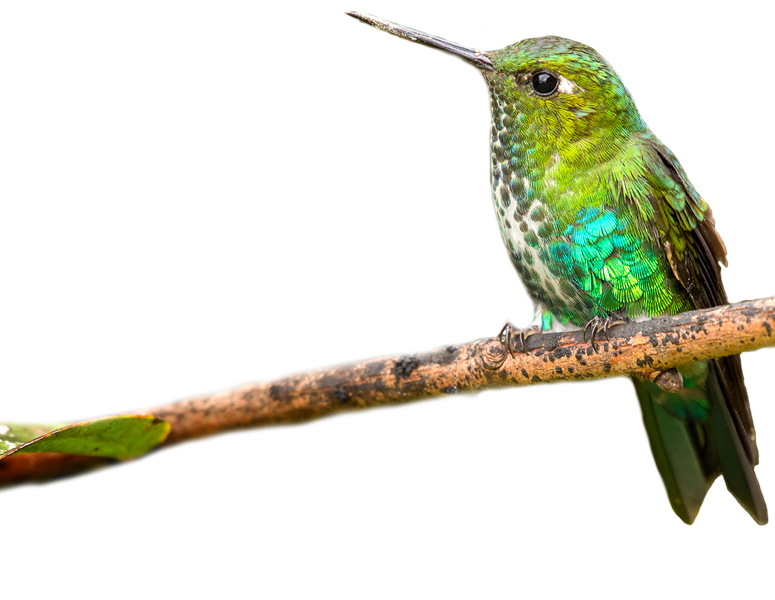 Join our newsletter for exclusive discounts and great birding information!